You can quickly find yourself in bad places while surfing the Internet, exposing your network to malware that can cause massive problems for your organization. Leaving users free to roam the Internet can also lead to lost productivity, reduced bandwidth, and even worse, legal liability. With WatchGuard’s WebBlocker, you get a powerful and easy-to-use solution for controlling and monitoring web activity across your entire organization. 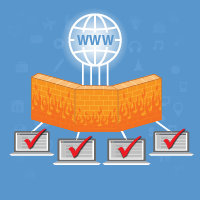 Guard your network against risky web content and malicious activity using advanced web filtering. Delivered as an integrated security service, WebBlocker includes a hosted URL database that simplifies setup and administration while providing continuous, up-to-the-minute protection, securing your network and protecting your sensitive information. Most organizations have policies that restrict viewing inappropriate and offensive content, but maybe you want to block social media for all users with the exception of your marketing team. Maybe you want your employees to view entertainment-related content only during lunch hours or have a set quota per week. 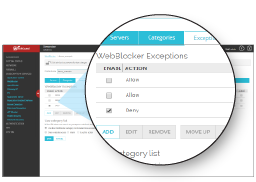 With WatchGuard’s WebBlocker, you have complete control to set different polices per user or group with the granularity that won’t cause big sweeping problems to other departments as you lock down web usage. 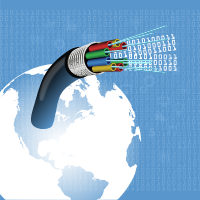 Avoid slow connection speeds and network bottlenecks caused by cyberloafing. With WebBlocker, you can easily block or limit non-work related web activity to ensure adequate bandwidth is available at all times. 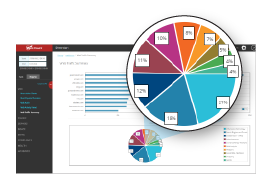 In combination with WatchGuard Dimension, you are able to quickly diagnose the problem and set policies that will ensure your business is running at top speed. Whether it is for security purposes, corporate compliance, or employee productivity, WebBlocker provides an intuitive management console that allows you to quickly apply policies per user, group, or schedule using 130 pre-defined blocking categories. You can also set alerts for when users are trying to access blocked content as well as grant users one-time access to specific websites. Use visual representations to quickly distill web activity on your network, including most frequently viewed categories, blocked websites, user activity, and much more. You can also generate web audit reports for detailed analysis. WebBlocker identifies the requested URL and then sends a query to the cloud to classify the URL category and sub-category. The Firebox either allows or denies access to the URL based on policy settings, including user, group, and schedule.